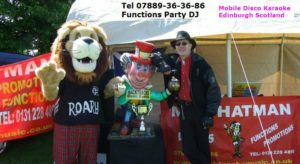 Party DJ Edinburgh - Hire Mad Hatman mobile DJ Edinburgh to ensure your Party celebration or Disco Function is enjoyed by all ages in venues all over Central Scotland. 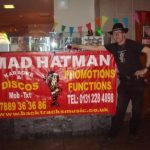 Remember when booking a mobile disco other companies may pass your details to less experienced DJs whereas Hatman DJ looks after your event personally this ensures consistent success every time! 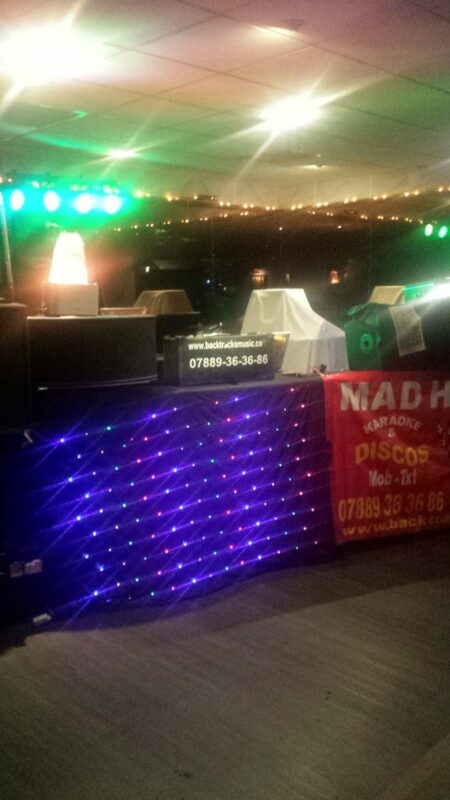 Large or Small events in halls, hotels, clubs or marquees require different sound systems, lighting and time. 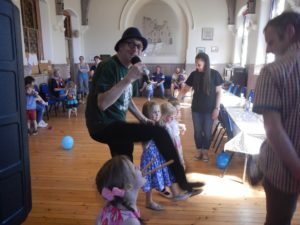 Therefore we need to know these details to quote accurately for your event. 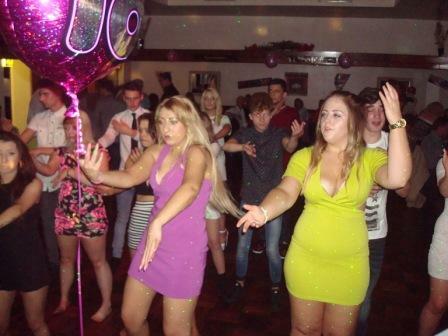 Sometimes to get a response on the dancefloor it may not be the best music or top hits that work. 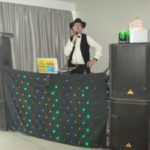 That is when experience, timing and music knowledge are so important enabling Hatman DJ to create the atmosphere and vibe to get the party dancing. 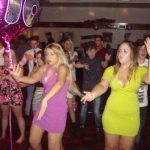 Wedding receptions to 25th- 50th Anniversary catering for all ages and genders in central Scotland. 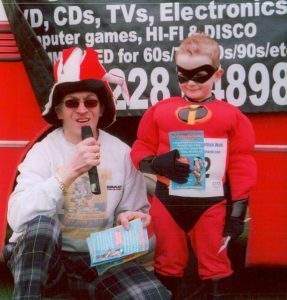 Hosting Promotions and charity events Liaising with company re music and creating a buzz with competitions if required. 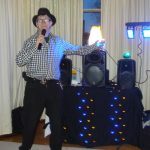 Karaoke Disco - Mad Hat DJ helps add a fun sing song to top tunes. 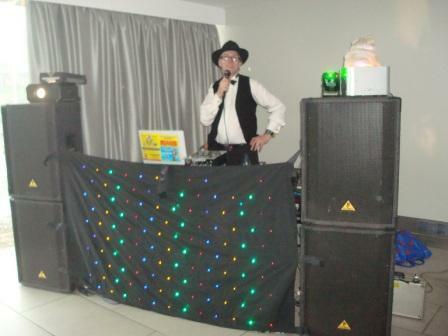 PA Sound Systems supplied for pubs, clubs or function halls. 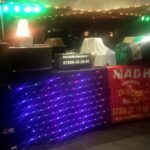 November St Andrews Scottish night - A mixure of pop rock indie and traditional music intertwined with uplifting classics. 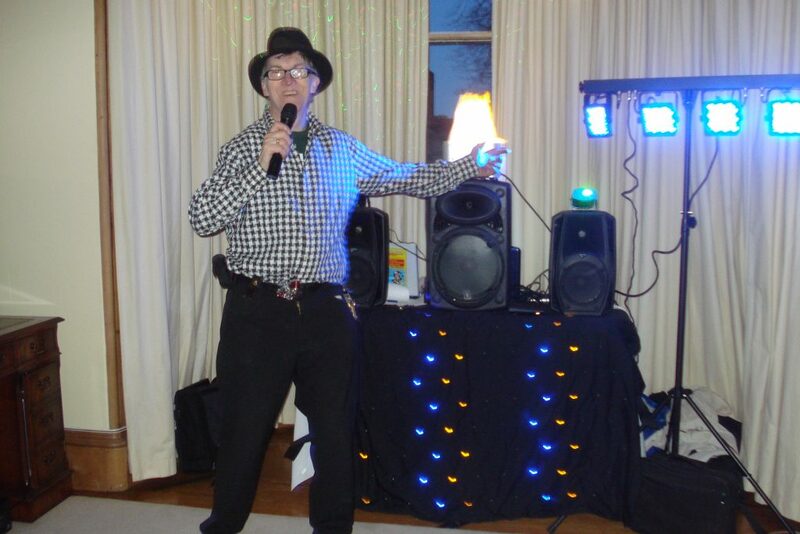 New Year 2020 parties with a mixture of Classic hits Scottish tunes and great sing a long tunes. 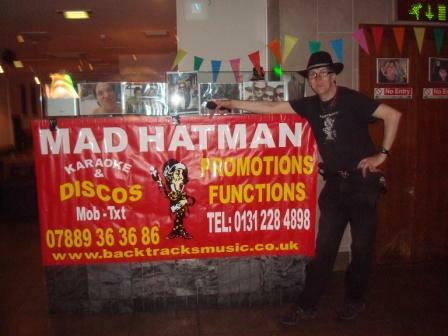 Hatman Disco feedback and Karaoke reviews.